Australia's Most Awarded Mercedes-Benz Retailer proudly presents this Certified low kilometre Mercedes-AMG A45 4MATIC featuring Fully-Factory-Backed Warranty right through to December 2022! Highly specified and perfectly presented in iconic Polar Silver Metallic with AMG performance seats in Black RED CUT leather upholstery riding on 19-inch AMG Cross-Spoke Alloy Wheels in Titanium Grey. 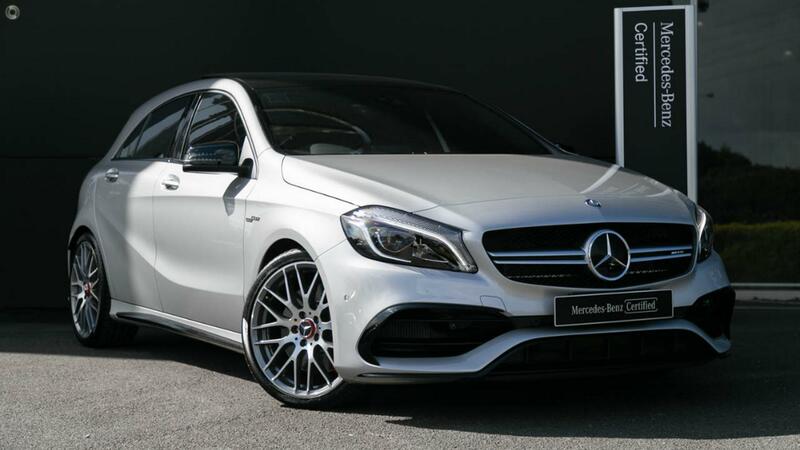 Take the wheel of your incredible A45 4MATIC from the 2014, 2015, 2016, 2017 and 2018 Formula1 World Champions at Mercedes-AMG with absolute confidence, ONLY from a Certified Mercedes-AMG expert and the reigning "Mercedes-Benz Metropolitan Retailer of the Year" again, for the 5th time in 6 years!